Benidorm is a British comedy series about the many vacationers at a holiday resort in Spain, a place known for a certain class of tourist. 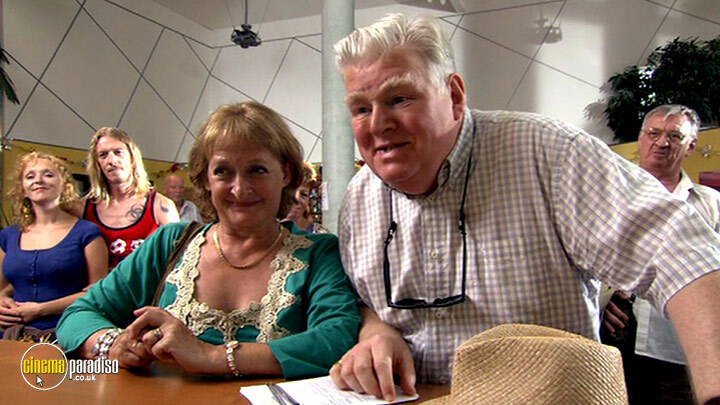 The series follows the many families and couples heading out to Benidorm and their joint quest to find the best value for money there as they try to find bargains and avoid doing anything that resembles fun based around the cost of the activity. The series looks at the package holiday stereotype and the people who go on them and what they do when they get there. Paul Bazely, Jofre Alsina, Nicholas Burns, Jake Canuso, Alan David, Abigail Cruttenden, Janine Duvitski, Charlotte Eaton, Siobhan Finneran, Kate Fitzgerald, Lily Eliza, Geoffrey Hutchings, Jan Graveson, Hannah Hobley, Josh Bolt, Kenny Ireland, et al. Benidorm regulars for twenty years Jacqueline and Donald are enthusiastic middle-aged swingers who rarely leave the hotel. Known as 'The Oracle' because of his computer-like knowledge of trivial fact and figures, Geoff Maltby is on holiday with his mother, or PA as he calls her. but keen to hide the fact. Gavin and Troy are on their first break away together after setting up a successful hair salon. 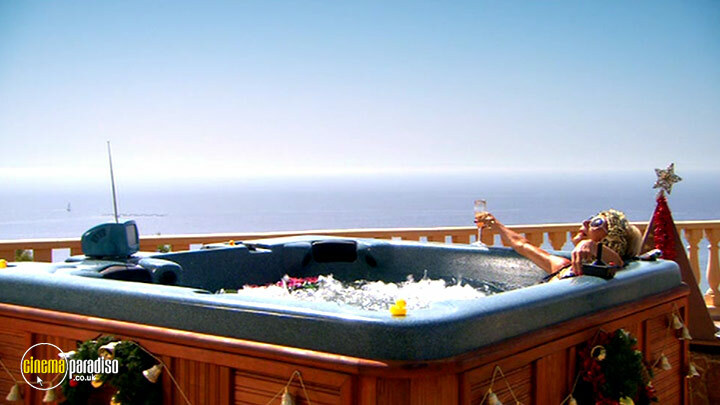 Kate and Martin's marriage is at breaking point after only one night in the resort. Then there are the Garveys; a Lancashire family who are on their first holiday abroad. Janice and Mick plus Janice's mother - the sun-worshipping, chain-smoking Madge who can always be guaranteed to have a bad word for everyone. Once again the Solana, Benidorm's premier all-inclusive resort, plays host to its usual mix of holidaymakers all looking for sun, sea and savings. The Garveys return with a few new additions - Telle's baby Coolio and Madge's new boyfriend Mel Harvey (Disbury's answer to Julio Iglesias). The Oracle gets romantic with Telle; enthusiastic swingers Donald and Jacqueline are, as ever, on hand with helpful advice and Kate and MArtin are happy in the knowledge that they are never, ever coming back to Benidrom... With plenty of karaoke, bull-fighting and a spectacular mobility chair shoot-out, this second series of Benidorm is unmissable. Our holidaymakers are all back; Is it the sun? Is it the sea? Is it the sangria? No, it's a free holiday as compensation for last year's hostage ordeal and you can't say 'no' to that. Mel's here on business this time and is opening a mobility scooter shop, so Mick's been roped in to help whether he likes it or not. Janice does her best to stop the family from throttling each other, while the Oracle's mission to find true love throws up some unusual encounters. Martin surprises the other guests by returning not with Kate but with Liverpudlian live wire Brandy, who's determined to spice up things at The Solana Apartments. It's another year of difficulties, disasters and plenty of laughs for our favourite Brits abroad. Some new faces check in - some welcome, and some distinctly not - but all ready to cause waves around the pool. It's Christmas on the Costa Blanca and where better to spend it than in Benidorm with some of The Solana's best loved regulars and some very special guests... There's plenty of tinsel and turkey, but not much peace and goodwill in Benidorm when the Garveys arrive to spend Christmas with Mel and Madge in their luxury hilltop villa. Mel is on business in Marrakech so Madge takes charge of the Benidorm Palace Christmas Spectacular, but talent management was never her strong point and she's not helped by handyman Les failing to pick up star act Su Pollard from the airport. When Donald and Jacqueline arrive with a group of 'close personal friends' including king of the swingers Marvin and Noreen brings along a new admirer, Michael is left wondering if he'll get his promised white Christmas after all. Gavin has returned to the Solana but this year without Troy. Instead he's brought with him his deliciously camp employee from back home, Kenneth. But will his appetite for the all- you -can- eat buffet and his taste in colourful hot pants prove too much for Gavin? 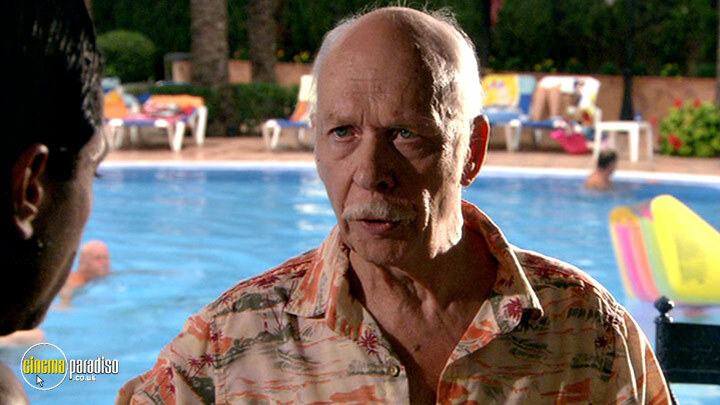 There's cross-dressing confusion at the poolside bar with Les, whose son Liam has arrived in Spain, determined to find a holiday romance. Donald and Jacqueline, Benidorm's King and Queen of the swingers, are back and always looking to make new friends by the pool. Benidorm's favorite holidaymakers are back on their sun Loungers for another fun-packed season at the all-inclusive Solana Hotel. This year, new manageress Joyce Temple-Savage (Sherrie Hewson) is determined to bring a touch of class to the resort - but she hasn't quite anticipated the staff, or the guests! Kenneth has set up a new salon, Blow 'n' Go; Madge has a near-miss with some body-snatchers; Donald and Jacqueline are trying ever-more adventurous ways of making new friends; Mateo enters a dance competition and Liam gets out of his depth with an all-female Olympic swimming team. Benidorm's newly four-starred Solana is open for the Summer season, with manageress Joyce Temple-Savage (Sherrie Hewson) proud of the all-inclusive services on offer. It's a star-studded new series, too: Joan Collins, Matthew Kelly, Philip Olivier, Nicholas Burns, The Krankies and Rustie Lee are all making VIP guest appearances, and the Solana itself has some fantastic new guests in residence. 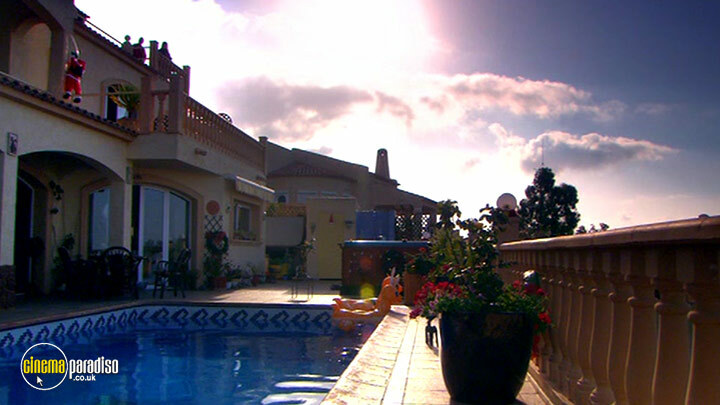 The Summer sun is blazing across Benidorm's blue skies, and the Solana is open for business. Manageress Joyce Temple-Savage (Sherrie Hewson) and her magnificent staff return in full force for another season. 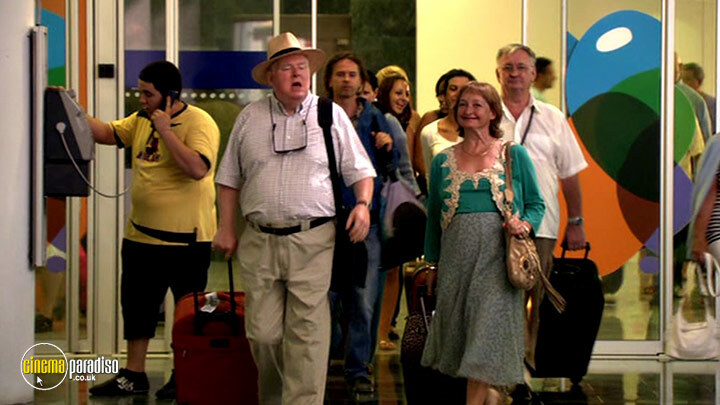 Crammed with best-loved characters and fantastic VIP appearances from Joan Collins, Amanda Barrie, John Challis, Bobby Crush, Leslie Jordan, Ruth Madoc, Denise Black and Nadia Sawalha, Benidorm Series 7 has all the makings of a holiday of a lifetime. Filled with heart-melting and jaw-dropping storylines, your all-inclusive wristband awaits you. 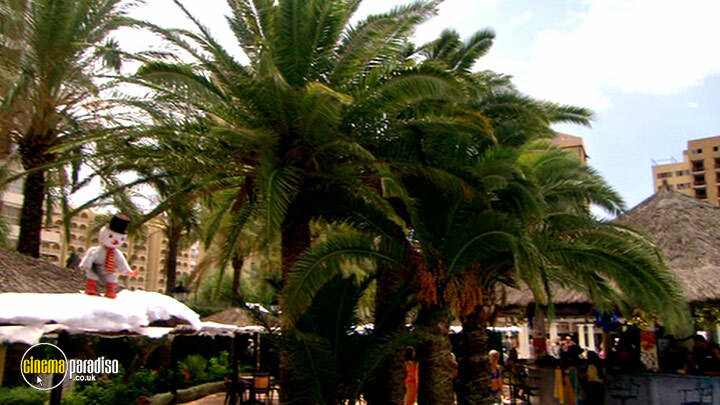 Benidorm's much loved Solana Hotel opens its doors for another Summer Season of fun. Ready to cater all your needs is Manageress Joyce Temple-Savage and her team of chaotic and not always loyal staff. Will Sam the new holiday rep be more of a hindrance than a help; and will Kenneth manage to hide his sideline 'Blow and Go Cabs' from salon boss Troy? The Dawsons are back, this time with Sheron's fun-loving mum Loretta in tow. Say hello to all our familiar faces, and some celebrity VIP guests too, including Michael Fenton Stevens, Nigel Havers, John Challis, Uri Geller, Amanda Barrie, Jason Manford and Madness, as well as a cameo from our favourite Solana CEO, Dame Joan Collins! Romance is in the air at the Solana as the big day arrives for Joyce and Monty. Billy and Sheron are keen to make their 25th wedding anniversary holiday a romantic one, whilst Lorretta and Eddie eagerly speculate about the arrival of Rob with a mysterious friend from South America. Jacqueline is the new owner of Blow and Go, Liam tries to keep the peace and has Kenneth finally fallen in love? Joey is back with work mate Callum and quickly rekindles his relationship with Sam. Pauline returns with Noreen in search of inspiration as a fledgling novelist and Monty bags the new Entertainments Manager job, but his star signing, washed up entertainer Sammy Valentino quickly gets him in hot water, meanwhile stalwarts Mateo and Lesley try to keep things running smoothly.